Are your parents on the fence about signing you up for riding lessons? I’m here to help with my favorite tips to talk your parents into letting you ride horses. After all, once upon a time, I had to talk my own parents into letting me ride horses. Luckily, they let me start at a very early age and that’s a decision they are glad they made to this day. Sure, they were worried at first about the safety of it. Not to mention, the cost of riding horses is a bit frightful as well. Despite the costs and risks associated with horseback riding, there are countless benefits to the sport. It’s super important to get these benefits across to your parents if you want to convince them that horseback riding is a great idea. 1. Cite the facts… horseback riding improves confidence, communication skills, and gives a better sense of responsibility. As a kid, I was shy and awkward and never wanted to leave my mother’s side. 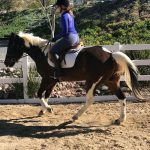 Horses changed all of that for me, they brought me out of my shell and gave me confidence. Turns out, I’m not alone. 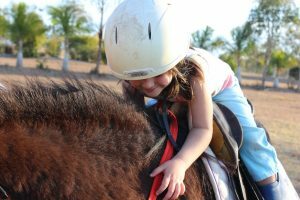 Horses have proven to help kids from all walks of life in numerous ways, from improving communication skills to instilling a sense of responsibility. In fact, equine therapy is a real thing. You might want to print out and show your parents this study from 2013 that documented the benefits of enrolling children in a horse education program. The study found that children enrolled in horse programs made more positive gains than their peers who were not enrolled in a horse program. Children showed greater self-awareness, responsibility, self-management, goal directed behavior, decision making and relationship building skills. While you’re at it, you can also print out this 2014 study that measured the stress hormone cortisol in teenagers who rode horses vs. teenagers who did not ride horses. There were over 100 teens enrolled in the study; 53 participated in 90-minutes of horse-related activities once a week, while 60 teens in the control group did not interact with horses at all. Saliva samples were taken from teens in the program and in the control group and then compared. Turns out, the teens enrolled in the riding program had lower cortisol counts than their peers who did not interact with horses on a weekly basis. This is huge considering high stress cortisol levels put you at risk of more health problems. On the other hand, low levels of this stress hormone are associated with better overall health and wellbeing. The take away? Regular contact with horses can reduce stress and improve your quality of life. 3. 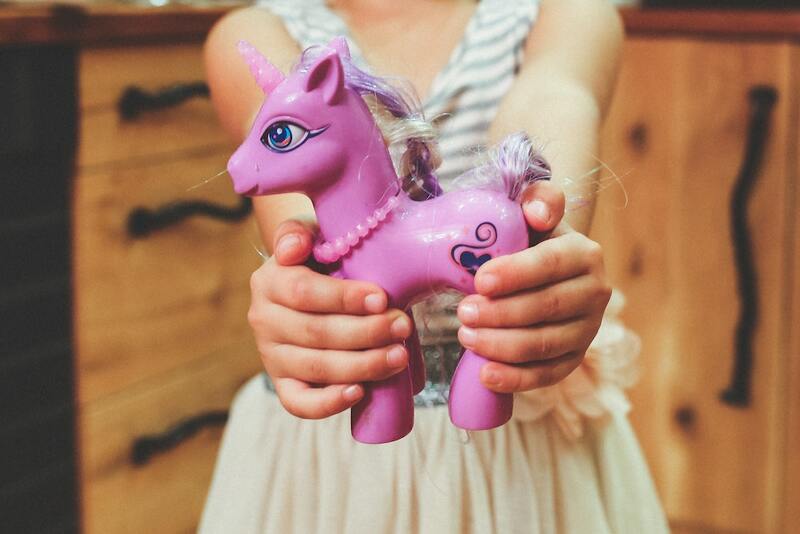 Horseback riding makes children more socially competent. Yet another pro-riding study you can share with your ‘rents is this one out of Washington State University. In this study, a group of children were given a test to determine social competence. Then, part of the group was enrolled in an 11-week equine program, while the other half of the group (the control group) was not. After the 11-week period, all children in the study were re-tested to see if social competence had changed at all. The children enrolled in a horse program showed positive social developments, while the other group showed no change. 16 weeks later, children in the control group were enrolled in an equine program and then tested at a later date. They showed “significantly higher posttest levels of social competence after program completion” when compared to how they originally scored. 4. Make some deals and be willing to work hard to earn riding lessons. Sometimes, you have to prove to your parents how much you want something by offering hard work in return. Volunteer to take on extra chores, help with mom’s paperwork, or whatever else you think your parents will appreciate you doing. Maybe that’s getting a job, and hey, that works too. After all, if you decide you really like horses, you’re going to need a job anyways! Write out a deal that includes the type of work you plan to do in exchange for 1 riding lesson a week. Don’t forget to call ahead to see how much riding lessons cost so you can include this in your plan. Bonus points if you call multiple riding stables and get quotes, that way you can show your parents that you’ve found a reasonable deal. Present your plan like a formal presentation to really knock their socks off! P.S. : Don’t forget to include the research-based facts (provided above) in your presentation. Money is a common concern when it comes to horses. After all, the average cost of an hour-long riding lesson is around $45 to $80. So, if your parents’ number one excuse is that they can’t afford it, don’t give up hope, you still have options! First, do a Google search to find local riding schools in your area. Then, start calling them up. Let them know you are passionate about horses and would love to take lessons in exchange for work around their barn. People are going to say no, but don’t give up because a lot of barns are willing to exchange lessons for mucking stalls, cleaning tack, grooming horses, and other chores. The best part? Working around the barn will give you even more time with the horses. Plus, it’ll help show your parents how committed you are to the sport and might soften up their stance on letting you ride. If safety is a main concern when it comes to your parents letting you ride horses, fill them in on all the ways you can protect yourself at the barn. From helmets to safety vests, and steel-toed boots, the right gear can help keep you safe. Plus, a quality riding school is going to stress safety above all else. 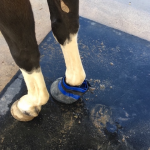 For one, the horses used in lesson programs should be calm and “bomb proof,” a term used in the equine world to signify a horse that doesn’t spook, buck or bolt over anything. Plus, your trainer isn’t going to throw you on a horse and expect you to canter on day one. Instead, it’s a slow process where you get to learn about horses and how to interact with them in a safe manner. Encourage your parents to talk to a local trainer who can explain more about the process and things he or she does to help keep students safe. Sometimes, your parents need some encouragement in the form of hands-on experience. Ask them to go riding with you. 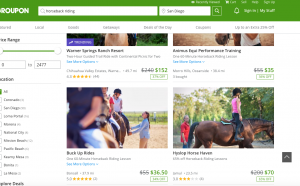 Considering purchasing a trail riding deal on GroupOn so the whole family can partake in the fun together. What if My Parent’s Won’t Let Me Ride No Matter What? Don’t give up hope! Just because you can’t talk your parents into letting you ride horses as a kid or teen doesn’t mean you can’t ride forever. As soon as you turn 18, the choice to ride is all yours. Getting a later start on riding isn’t a bad thing at all. There are plenty of incredible equestrians who started riding later in life. In the meantime, keep reading about horses, watching videos about how to care for and train horses, and learning everything you can about these magical creatures. Then, when you are old enough to enroll yourself in riding lessons, there will be no stopping how great you become.